CollectorsEdition.org » Blog Archive » Australian Climax Edition of SEGA’s Bayonetta even more elaborate! 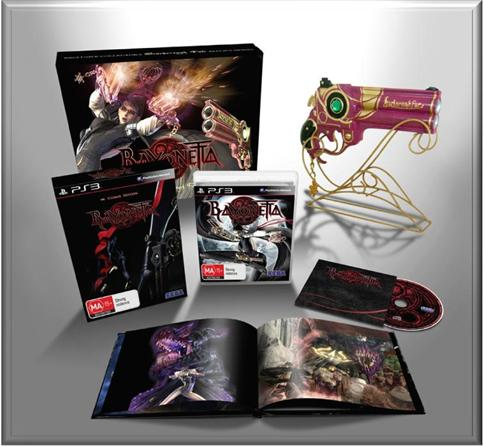 Australian Climax Edition of SEGA’s Bayonetta even more elaborate! Managed to get my hands on this one for around £55 pounds & have now seen them fetching up to £120 on eBay. Just letting you know not to fork out that kinda wedge for it. While the replica Scarborough Fair looks good through the glass in your display case,the overall quality of it is somewhat disappointing. It is completely solid, even the trigger & not painted to a great standard. Sounds like Batman: AA all over again.